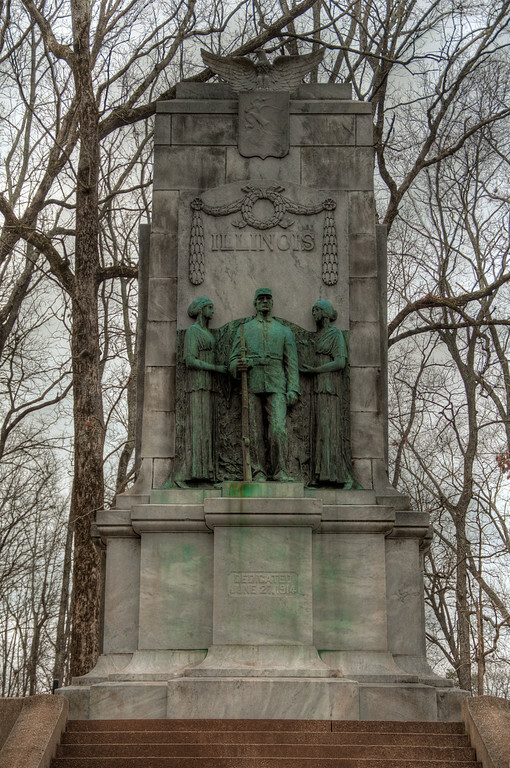 Illinois Monument | Just Shooting Memories! This is another one for my Silent Guns of the South series. I went to Kennesaw Mountain National Battlefield Park a few weeks ago. I took my youngest child and we actually got there before the visitor center opened. I began talking to her about the top of the mountain and was trying to get her to let me drive there. She was having none of that. I told her it was a mile hike up and the back down. We started off and I full expected her to stop and turn around after a few minutes. An hour and 20 minutes later, we finally made it back down after out ascent. Let’s just say she was doing better than I was.